IT is an enabler of change and not the change itself. When customers look at IT as the one solution to all their problems, it is set up for failure from the beginning. Introducing an IT system necessitates an in­-depth study of existing workflows, roles and responsibilities and change management aspects in every speciality. The adoption of EHR is growing rapidly because of billions of dollars spent by the government to incentivize providers for EHR usage. 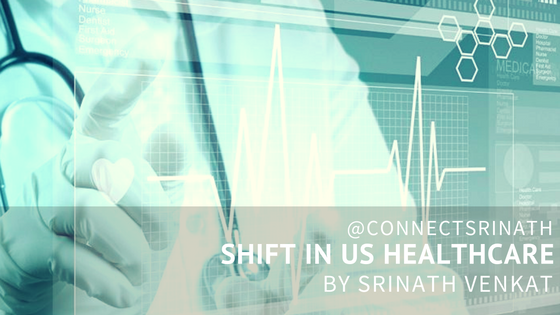 Healthcare has undergone series of changes in last few decades. From passive, reactive, one size fits all approach, it has moved towards more customized, responsive, real-time care administration. Electronic Health Record (EHR) is systematized longitudinal collection of patient health data which gives the complete record of clinician-patient encounter. 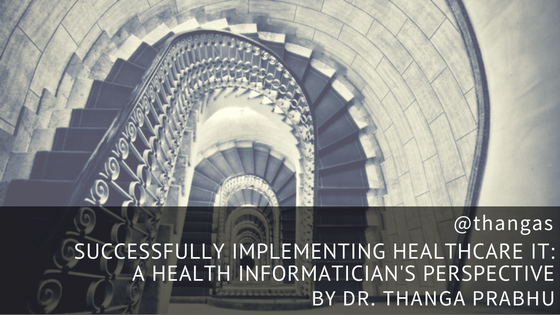 Just in time for the 2016 AMIA Symposium, I'm delighted that Manish Sharma, the force behind @HCITExperts, is republishing my five-part series on workflow technology in healthcare. Thank you Manish! 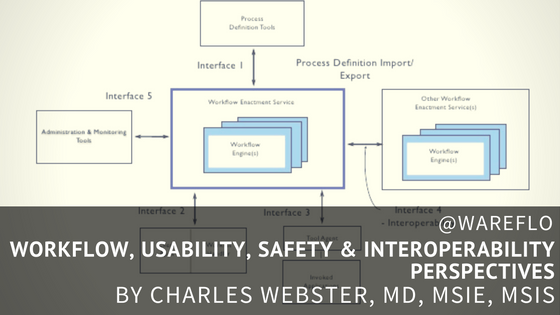 I blog and tweet a lot about healthcare workflow and workflow technology, but in this first post I’ll try to synthesize and simplify. In later posts I drive into the weeds. Here, I’ll define workflow, describe workflow technology, its relevance to healthcare and health IT, and try not to steal my own thunder from the rest of the week. Naturally, I tried thinking of usecases to apply the technology in a Healthcare setting. From More Paper to More Checkboxes, Whats Ideal in Health IT? Was in a tweetchat sometime ago on the Need for Time Management for Practitioners (physicians, nurses, allied health professionals) in Healthcare, by the HealthXPh communities Weekly Tweetchat, Every Saturday. During the conversation it was really interesting to hear from the practicing doctors regarding how they have to manage their time and work towards scheduling themselves around their HealthIT systems and their patient care activities. It was really interesting because, aren't the Healthcare IT solutions supposed to ease the workload of the users? Arent the solutions supposed to be developed around providing the Time Management activities of the healthcare practitioner? Today the source of the information in healthcare is the Patient. The Data created for the Patient is stored in the Electronic Health Records of the various healthcare facilities that a patient goes to. An infographic provided courtsey NetApp on the Body as a source of Healthcare Data.